Being connected is important. I don’t care how well you think you are doing, one day you are going to crack and if you are not a part of a well-connected team or a part of a network of other pastors it can be a lonely, lonely place. I am lucky to be on a great team. We talk ministry, we have good days and we have bad days in ministry. But they are there for all kinds of support. Even if I was not on a team, I still have a bunch of other pastors, both my age and older, that I am connected to and make sure I get together with them on a regular basis. I can go to them and vent, celebrate, ask for prayer etc. Bounce ideas off of: I know how I work. When I have an idea, it’s okay. For me, I love to have people in ministry who I can bounce ideas off of to make them great ideas. I am a big supporter of the idea that you can do something good, but with a solid team that “good” thing can become a great thing. And it is just fun to talk and dream big with people with the same passion. Celebrate with: Try high-fiving yourself. It’s lame. It’s just clapping. When your team scores a touch down, you want to stand up and cheer and celebrate and be with people who want the same thing. In ministry, it is always nice when God moves, but there is something about surrounding yourself with people who can celebrate with you is huge. People to pray and support you: Not everyday is going to be a celebration. You might have a rough day with people you work with. You might have a rough day with a student. You might have a rough day with your boss. It is important to have this “team” of people you can safely vent to, talk through the situation with, and have them lift you up in prayer. This is one of the most important things you can do for yourself in ministry. We are on the same team: I cannot believe sometimes how hard it is to get youth pastors together. I love just to talk ministry with, steal ideas from, get inspiration from, hopefully give a little inspiration as well. We are all on a team if you think about it. If you do not have the opportunity to work on a team of people, create your own. Create a network of other student pastors in your immediate area and get lunch once a month. Be encouraged. Pray for one another. Share ideas. Combine your heads. It’s huge and it’s a game changer. Do not be an island. You were made to be on a team. 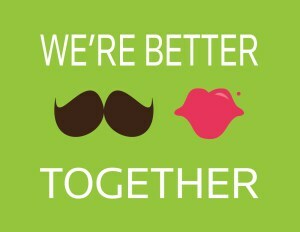 We are better together.